Grease a 13 * 9 baking pan. In a 4-quart saucepan, melt butter and unsweetened and semisweet chocolates over low heat, stir until smooth. Remove from heat. With wooden spoon, beat in 1 1/2 cups of sugar. Add four eggs and 2 tsp of vanilla. Beat until well blended. Stir in flour mixture until well blended. Using a mixer at medium speed in a small bowl beat cream cheese until smooth. Slowly beat in remaining 1/2 cup of sugar. Beat in remaining egg and remaining 1/2 tsp of vanilla until well blended. Spread 1 1/2 cups of chocolate batter into pan. 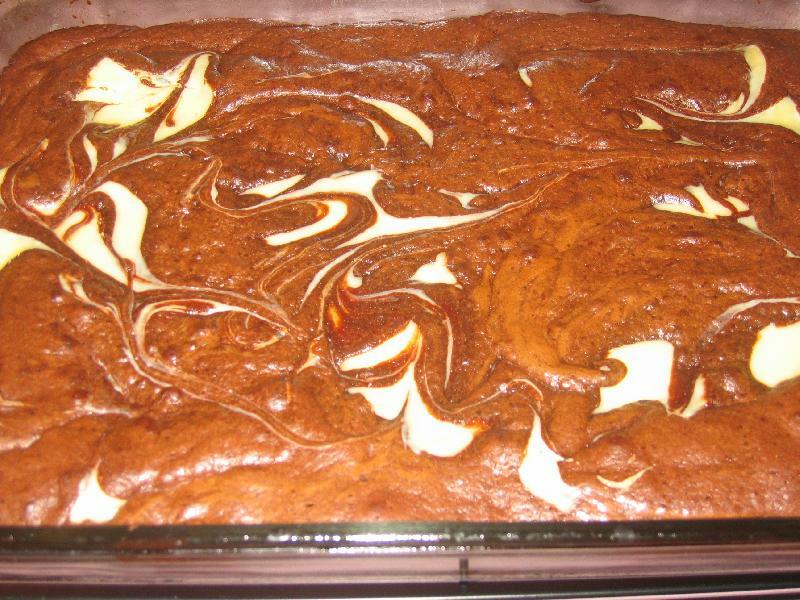 Spoon cream cheese mixture in 6 large dollops on top of chocolate mixture. Spoon remaining chocolate batter over and between cream cheese in 6 large dollops. With a toothpick or the tip of a knife , cut and twist through mixture to create a marbled effect. Bake until toothpick inserted in the center comes out almost clean. 35-40 minutes. Cool the brownies completely on a wire rack. When the brownies are cool, cut into pieces. kml9876 : Sounds like a great shortcut!